Why would I need self storage in South San Francisco, CA? There are a variety of reasons why you might need self-storage in South San Francisco, CA. How much is a storage unit in South San Francisco, CA? The cheapest storage unit in South San Francisco, CA is $74.00 per month. What size storage units do you have available in South San Francisco, CA? In South San Francisco, CA we have sizes that range from 3'x6' to 20'x25' to suit your storage needs. How much is it for a 3'x6' storage unit in South San Francisco, CA? The cheapest 3'x6' storage unit in South San Francisco, CA is $83.00 per month. When most people hear the name "San Francisco," they automatically think of "The City by the Bay." Less than half an hour south of the bustling metropolis, however, sits a smaller town that offers many of the same conveniences at lower costs: South San Francisco. The city was originally developed as an industrial city, with little thought given to homes and commercial development. 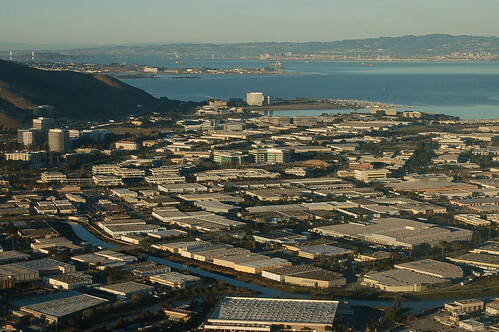 Nicknamed "The Industrial City," South San Francisco played an important role in the industries of meatpacking, ship-building and metal fabrication until it transformed into a high-tech business center and bustling residential community in the 1970s. Today, it's home to a diverse and growing population, including a mix of young families and working-class adults. South San Francisco sits in a valley that looks out onto San Francisco Bay, a location that contributes to its year-round mild climate. Temperatures rarely dip below 50 degrees except on the chilliest nights, making it a wonderful place to live if you enjoy outdoor activities, which are plentiful in the region. The most popular places to visit in South San Francisco include Oyster Point Marina, San Bruno Mountain State Park and Filoli Gardens. These public spaces provide walking trails and scenic views and are all easily accessible from the residential areas of South San Francisco. You'll find the city is divided into a number of distinct neighborhoods, each with a unique personality and culture. The downtown district is home to many different shops and restaurants, including the locally famous Bronstein Music shop. Neighborhoods on the western side of the city have scenic views of San Francisco, the city's larger cousin across the bay. South San Francisco has plenty of interesting things to see and do. You can see the massive Wind Harp sculpture, a 92-foot-tall sculpture that's one of the world's largest aeolian harps. Sign Hill hosts a series of giant concrete letters spelling out "South San Francisco the Industrial City," placed in the 1920s as a tribute to the city's flourishing industrial sectors. Thanks to its convenient location in the Bay Area and close proximity to Silicon Valley and many institutes of higher education, South San Francisco has evolved into a center of biotech research and development. Genentech and Amgen, two of the world's largest biotech firms, have large operations in the city. A number of other large biotech companies, like Exelixis, moved their companies to South San Francisco to gain access to the highly-educated workforce emerging from nearby Stanford University and UC Berkeley. With over 100 different bioscience companies, several research and development campuses, and thousands of jobs in the field of biotechnology, South San Francisco has quickly emerged as an important place for the industry. The South San Francisco United School District services the public schools in the city. You'll also find several parochial schools in the area, if you'd rather enroll your child in a private, faith-based school. If you're interested in pursuing higher education, South San Francisco offers easy access to many major colleges and universities including UC Berkeley and Stanford University. Utilities: The Westborough Water District supplies South San Francisco with residential water services. The local energy provider is Pacific Gas and Electric. Garbage and Recycling: You can expect regular curbside collection of your trash and recyclables. Bulky item collection upon request is also an option in the area. Transportation: Like most of the Bay Area, South San Francisco is served by the Bay Area Rapid Transit (BART) system. You can also utilize Caltrain, the ferry and free intercity shuttle service to get around South San Francisco and the surrounding cities. If you're new to the Bay Area, you may be surprised at the extreme costs of real estate. However, you'll find South San Francisco to be a relatively affordable option compared to San Francisco. Although South San Francisco is more expensive than other commuter cities, like Oakland, it does offer a closer proximity to the larger city of San Francisco. Our lowest priced units in South San Francisco, CA average $111.86 per month. 382 people have reserved units in South San Francisco, CA in the past 30 days. There are 7 locations within South San Francisco, CA's city limits. There is 1 location in South San Francisco, CA that offers AC and Heating features.